Round 2 of the Warriors 2018 playoff campaign starts Saturday. The first two games will be on the Dubs home court and then off to New Orleans for games 3 and 4. How will the Warriors match up against Anthony Davis, one of the top players in the game today? Davis and the Pelicans make quick work in their sweep of the Portland Trailblazers in Round 1. One could argue that the Blazers peaked too early and were slumping going into the playoffs. The Pelicans were clearly at their best against Portland. 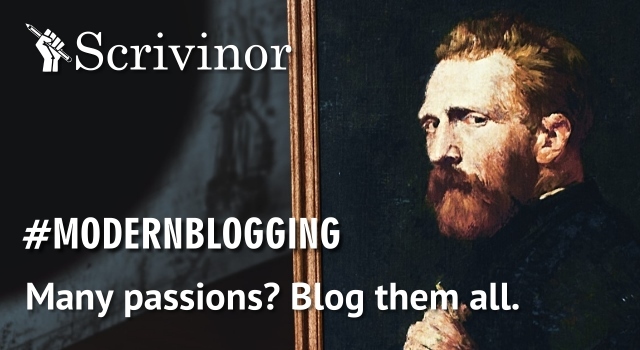 Will they be able to keep up the high-level play or will the law of averages come calling? As a veteran playoff team, the Warriors are hopefully in the process of gathering steam. If that’s the case, this series should be competitive but clearly winnable. Stopping the Pelicans is the first challenge and most important the Warriors will face. Anthony Davis has been been excellent at both ends of the court. Finding ways to slow him down will be offensively will be tough. One way will be to make it harder for his teammates to get him the ball. Making life difficult for Rajon Rondo as the Pelicans’ primary ball distributor should be a priority. His scoring the Warriors can live with. His assists are the danger. If Rondo isn’t finding AD, he’s looking for Djrue Holiday or Nikola Mirotic. And Alvin Gentry is asking them to play with pace, to run their offense before defenders have a chance to get set. The Warriors will need to get back on defense and look for Rondo creating opportunities for Holiday to drive and shoot mid-range shots. Mirotic was efficient from 3-point range. 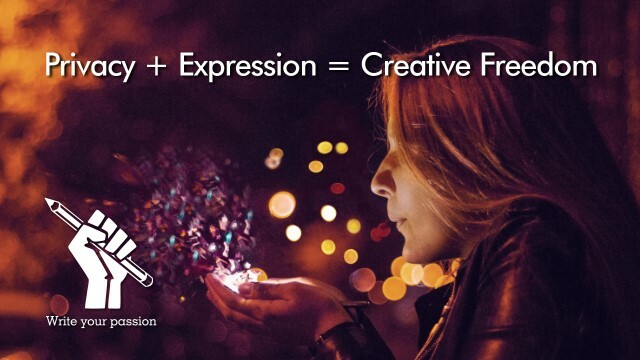 Understanding and countering these two will be a big part of the story. Getting stops. 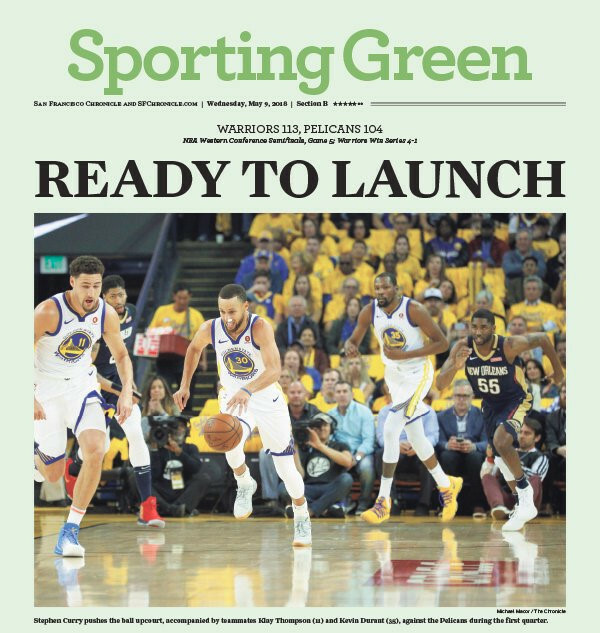 The better the Warriors are on defense, the better they’ll be able to run their own transition offense and score on New Orleans. Keeping up the pace will also help keep Davis out of the defensive schemes around the glass where he is so strong. 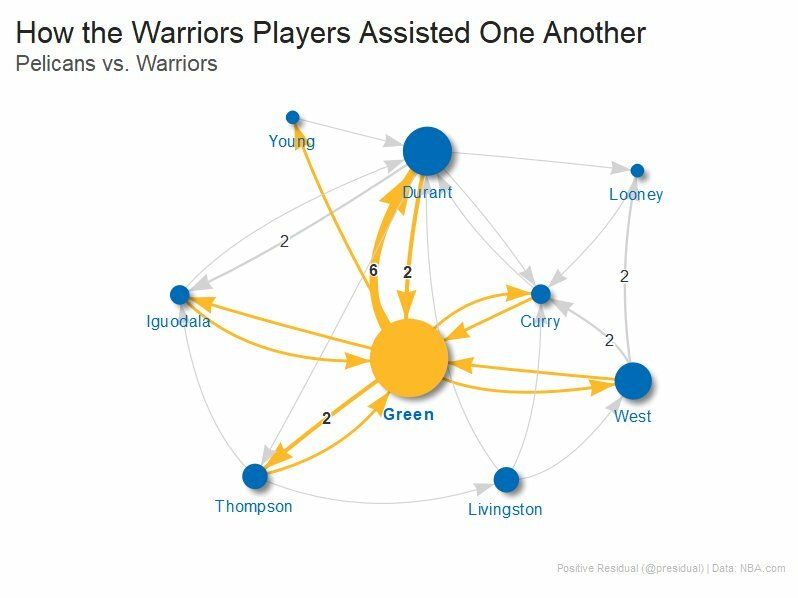 Some of the most successful moments the Warriors had against the Spurs was when Kevin Durant and Klay Thompson drew the bulk of the defensive attention, allowing Shaun Livingston, Andre Igoudala and Quinn Cook good looks or lanes to the basket. Protecting the ball, of course, is the wildcard. Fewer bad passes and turnovers will enable the Warriors to press their strategy. The other wildcard, maybe the biggest one, is Steph Curry. When he’ll return to the team and how he contributes. 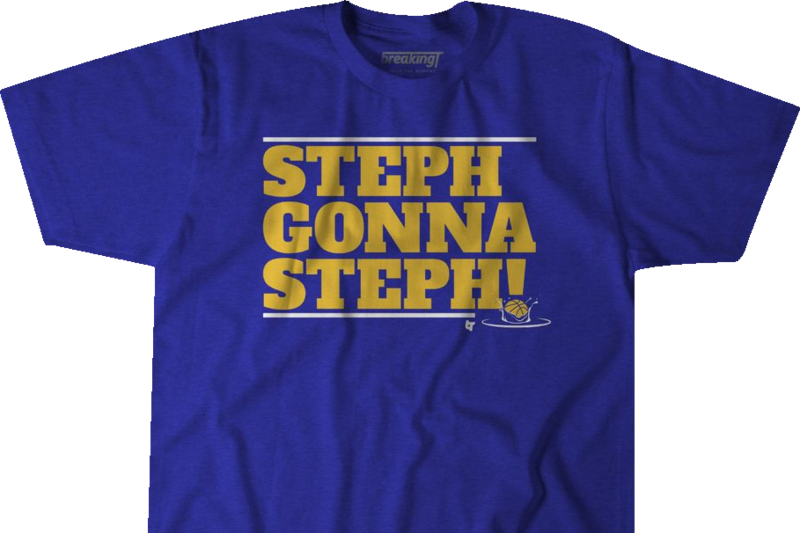 I think that maybe Steph will not be alone when he returns to the floor. One of the most enduring images I have of Curry is him coming around a screen by Zaza Pachuila to shoot a 3. Zaza sets the best screens. He is a Wall. Maybe we’ll get a chance to see Zaza the Wall freeing up Steph to deliver some serious splash. Game 1 of the Pelicans series is in the books. 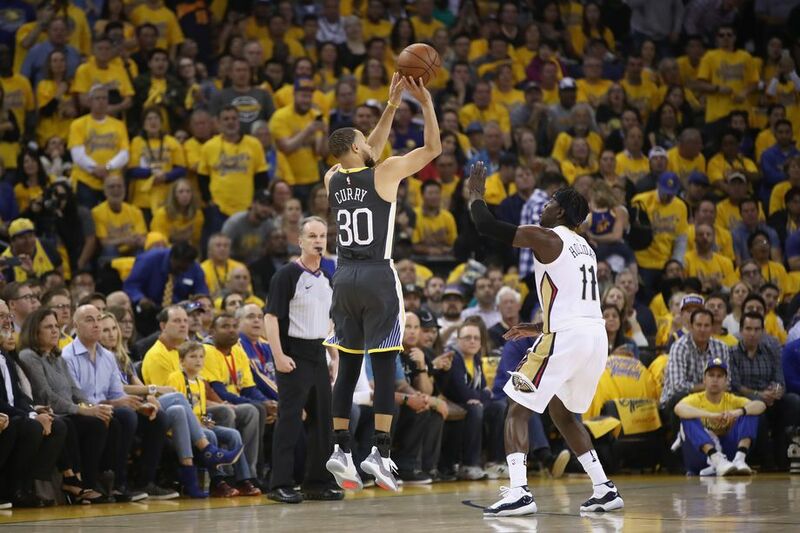 The Warriors played a near perfect game, dealing an unambiguous 123-101 defeat to New Orleans. The first quarter, the teams played evenly. The Pelicans gave their best shot but the Warriors were able to meet and equal the Pelican's play. 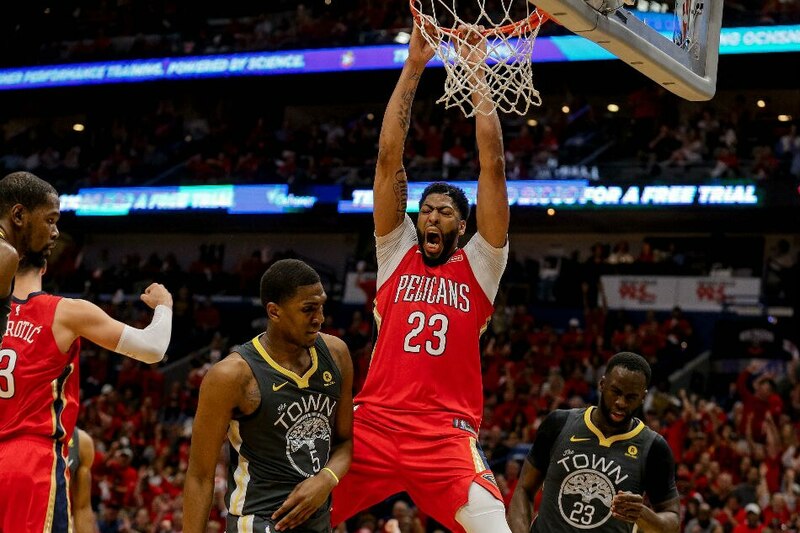 By the end of the second quarter the combination of solid defense and effective offense broke down the Pelicans' game plan and had New Orleans back on their heels. The Warriors got stops and scored in transition, going on a 24-2 run as part of a 41 point quarter and franchise record 76 point first half. The Pelicans were clearly frustrated. The Warriors extended their lead after the half, winning the 3rd quarter 27 to 20. By the 4th quarter the game was largely done and Kerr was able to rest his starters. 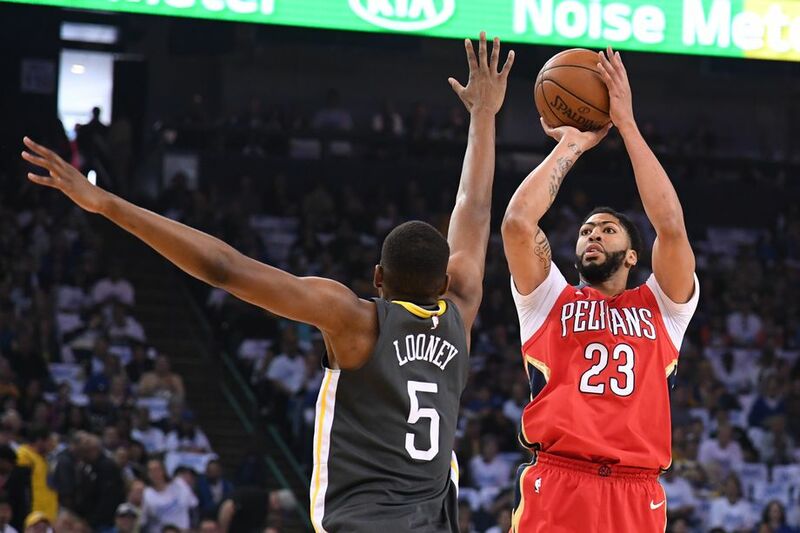 Draymond Green and Kevon Looney keep the defensive pressure on Anthony Davis, keeping him away from the basket and forcing him into tough shots. Looney was a remarkable +34 for the game. Klay Thompson got free on cuts to the basket and jump shots. Klay scored a team high 27 points. Kevin Durant was once again the secret sauce in the Warriors offense, scoring 26 and delivering key baskets. Durant was able to end his night after the 3rd quarter. Shuan Livingston, David West, Andre Igoudala, Nick Young (who started) and Quinn Cook all contributed. Game 1 was all the Warriors could hope for. They proved they have a game plan that can meet and best the Pelicans and they executed with elan. All without Steph Curry in the lineup. 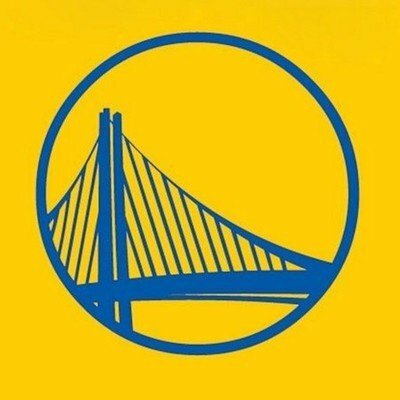 Curry may return in Game 2. 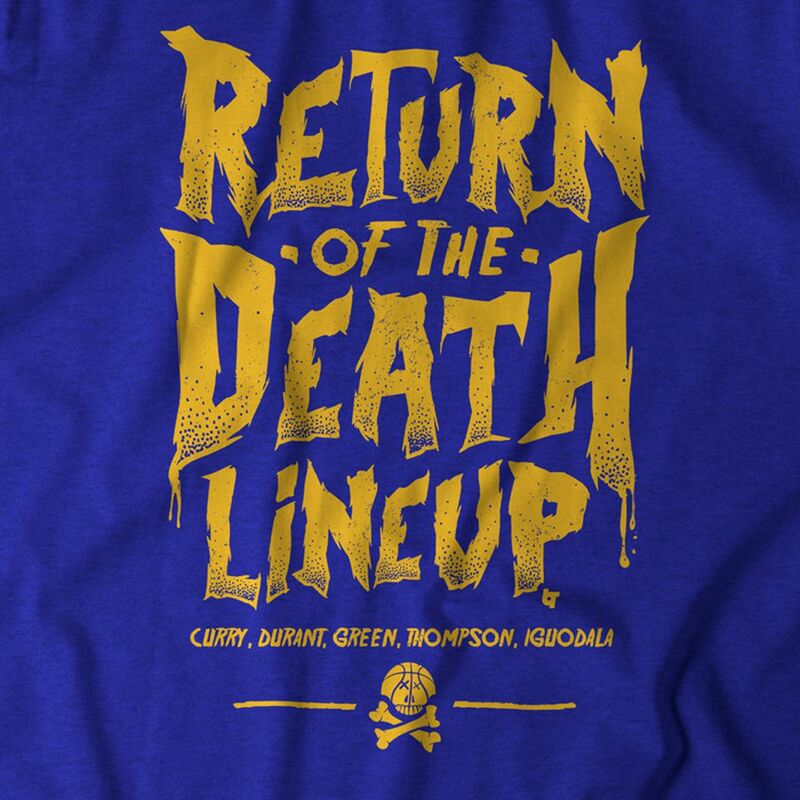 Or Kerr may choose to stay the course with today's lineup and give Steph more days to recover. The Pelicans will doubtless up their intensity to make their game plan work. It should be a good contest. 5 down. 11 to go. This was a fun game. After the game one blowout, the Pelicans were going to play harder. But this was also the game of Steph Curry’s return after 6 weeks out with a knee injury. How much better would the Pelicans play? Would Curry be rusty? 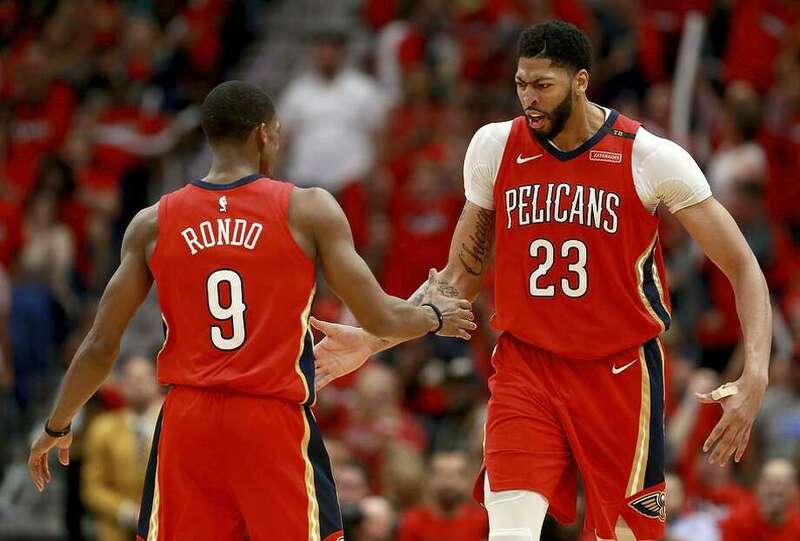 Would the Pelican’s be able to get a win on the Warriors home court and take the series to New Orleans tied? The answers came right away. The Pelicans jumped out to an early lead. Anthony Davis, Rajon Rondo, Jrue Holiday and Nikola Mirotić were all bringing it. Then, with 4:20 left in the first quarter, Curry came into the game. The crowd started roaring. Within 11 seconds Steph chucked a bomb for 3 and the roof came off the arena. Curry finished with 28 points Tuesday night, going 8-of-15 from the field and hitting 5-of-10 from long range. Offensively, he was the best player on the floor, with a plus/minus of +26 in his in 27 minutes. It was a team win. 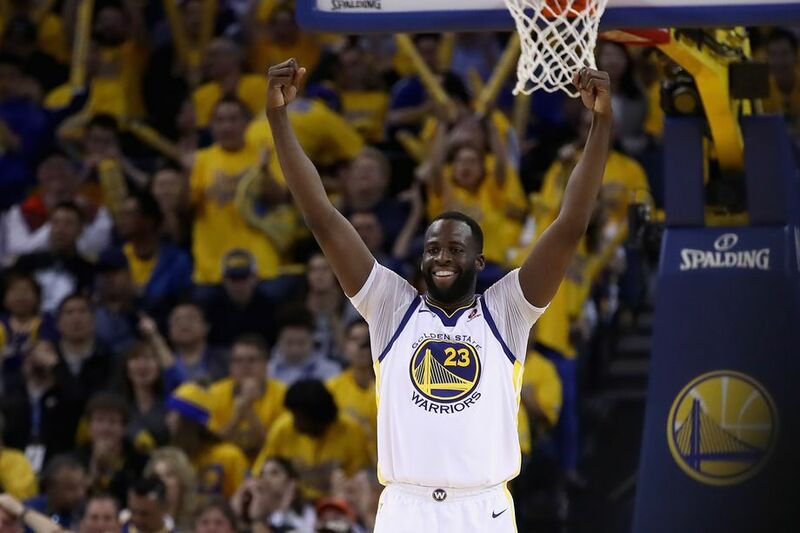 Despite the stepped up Pelican offense, Draymond Green again made his mark on both sides of the floor, nearly recording a triple double with a burly 20 points, 9 rebounds, 12 assists, and 2 blocks. Kevon Looney continued to play amazing defense on Anthony Davis, staying down, keeping up pressure and forcing Davis into hard shots. He is the only center on the team who can approximate Davis’ blend of length, agility and strength, and has been as big a reason as any for keeping Davis in check. Looney makes Davis work for every basket. But Looney was also a beast on the offensive glass, keeps his head in transition and showing he can finish out of the pick-and-roll. In Game 2, he scored eight points on perfect 3-of-3 from the field and 2-of-2 free throw shooting. He grabbed eight rebounds, a steal, an assist and zero turnovers. Through seven playoff games, Looney is second only to Green in terms of plus/minus at +16.8. But it was Draymond Green that Charles Barkley wanted to punch Draymond in the face. Barkley later apologized. Klay Thompson had a poor shooting game. He went 4 for 20 and 2 of 11 on 3s for 10 points. Much was made to the 4/20 reference. The good news is that Klay does not stay in shooting slumps long. Kevin Durant struggled with his shot for the first three quarters, going 6-of-17. That changed in the fourth quarter when he scored 15 points in 11 minutes to lock down win over the Pelicans. In the fourth, Durant shot 5-of-6 from the field and 4-of-4 from the line. He made his only triple, a 27-footer to give the Warriors a 113-103 lead with 3:12 remaining. Kevin Durant continues to be the Warriors not-so-secret weapon. The Pelicans upped their game across the board. They were far better than they were in Game 1. But it didn’t matter. When Steph came into the game, the Warriors got a lift and started to show flashes of the team that no-one can beat. 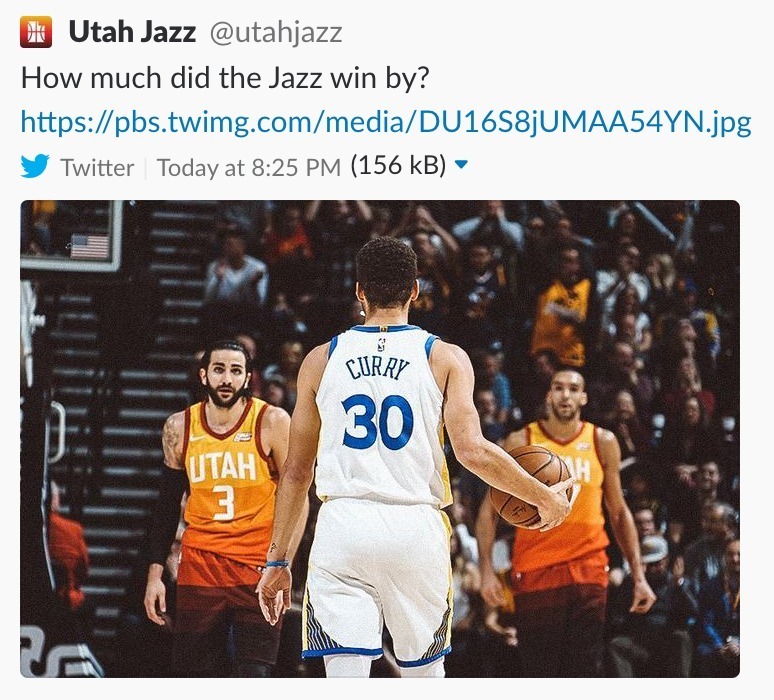 The Warriors won 121-116. Steve Kerr says Steph Curry will start Game 3 vs Pelicans. Six down. 10 to go. The Pelicans outplayed the Warriors in Game 3 to win in a blowout, 119-100. So the Warriors will not sweep the series. The Dubs shots didn’t fall and, after a slow start, the Pelicans grabbed the momentum and never let up. 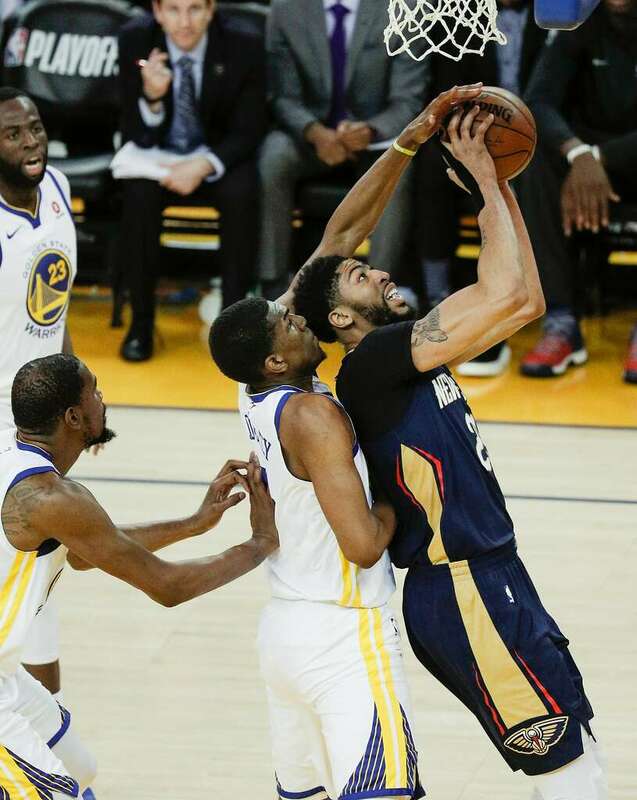 For the first time in the series, Anthony Davis made his presence felt. Rondo had 21 assists, Anthony Davis finished with 33 points and Djrue Holiday scored 21. Ex-Warrior Ian Clark added 18. Nikola Mirotić had 16 points and 13 rebounds. In an interesting move, Steve Kerr started JaVale McGee at center. 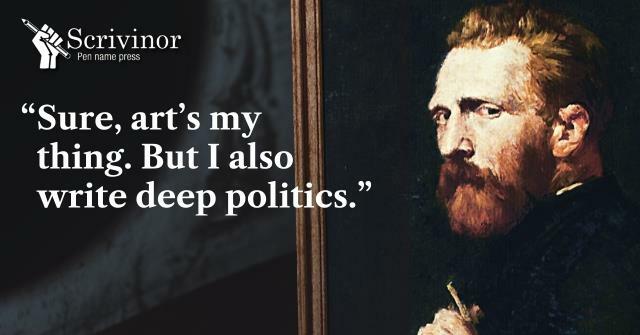 On another day, it would have worked better. Game 4 is Sunday with a Game 5 back in Oakland on Tuesday. Steve Kerr gave New Orleans credit for a strong performance. Game 4 was the mirror image of Game 3. The Warriors outplayed the Pelicans and came away with a decisive win, 118-92. The Dubs led buzzer to buzzer. The Warriors's first quarter set the tone. 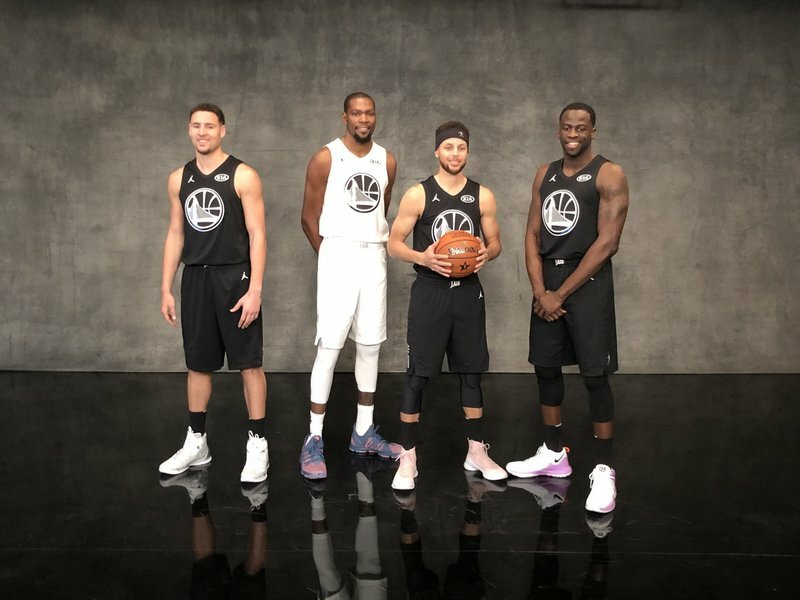 Kerr started the Hamptons Five lineup of Steph Curry, Klay Thompson, Andre Iguodala, Kevin Durant and Draymond Green. The move worked. The Dubs went on a 13-0 run get to a 17-4 lead with Durant hitting his first three field goals and both Curry and Thompson adding three-pointers. The Pelicans were never able to dig themselves out of the hole. The Hamptons Five played a total of 18 minutes in the game and registered a net rating of plus-63.6. The dominance was on both ends, scoring at a rate of 130.1 points per 100 possessions while allowing just 66.5 points. When the Warriors needed a basket, Kevin Durant was there. He was at the core of the win. KD made momentum buckets and the Pelicans didn't have an answer. Durant scored 10 points in each of the game’s first two quarters and added 13 in the third.He finish with 38 points, the most he’s scored in a game this postseason. Steph is still coming back from his knee injury. According to Kerr, Curry is "turning the corner." 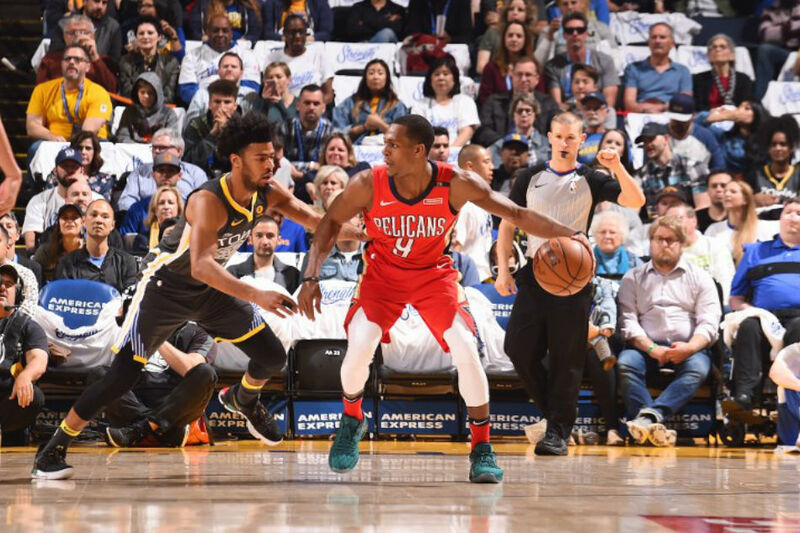 Defensively for the Warriors, one of the key indicators was the effectiveness of Rajon Rondo as the Pelicans court general. He had only 6 assists in the game, compared to the 21 in Game 3. Steve Kerr had special praise for Andre Igoudala in his post-game press conference. Game 5 is Tuesday evening, back at the Warriors home court. The Warriors created a behind-the-scenes look at the Game 4 win. Seven down. Nine to go. Once again, Steve Kerr started the Hamptons Five. Once again the lineup was outstanding. 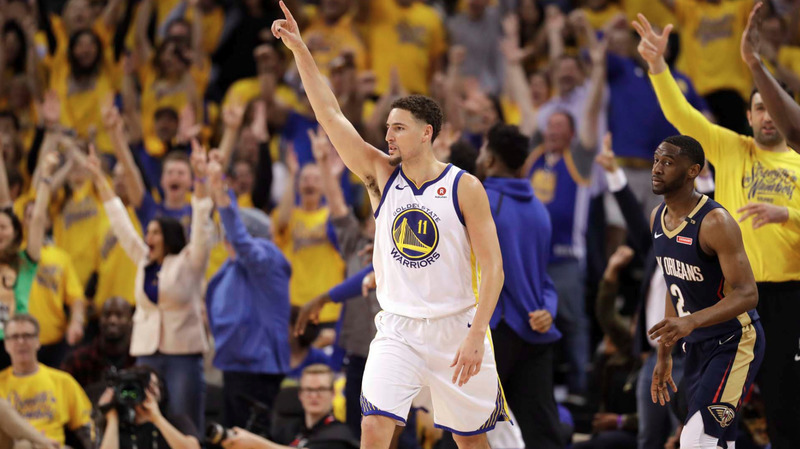 The Warriors won convincingly and closed the series, 113-104. The first quarter went to plan. The Hamptons Five were precise and potent. 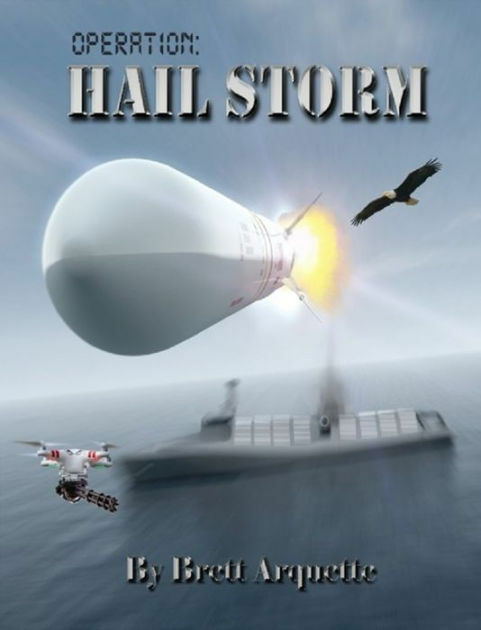 They ran down the Pelican’s throats. 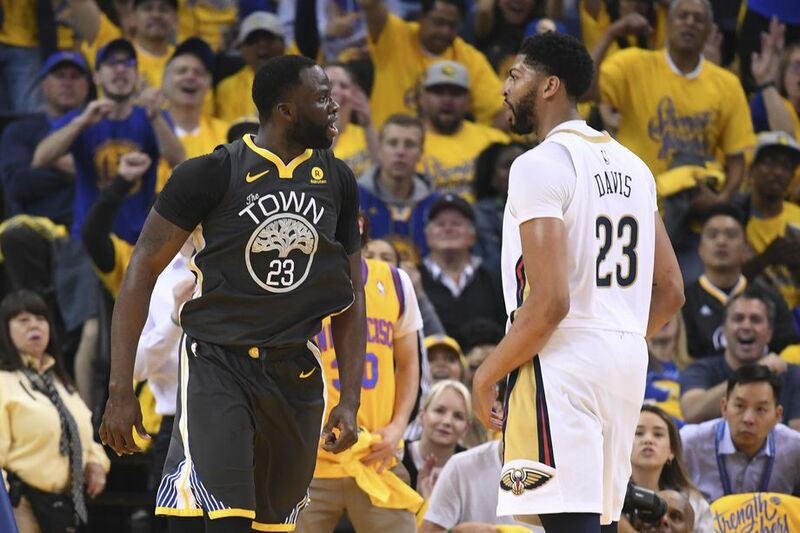 Draymond Green kept up the defensive pressure on Anthony Davis. Later in the quarter, the second unit offered energy and a creative change of pace to keep the Pelicans off balance. The quarter ended with Warriors up by six, 32-26. The second quarter was the Pelican’s push. The Warriors were up by as much 11 but the Pelicans came back to take a 2 point lead with less than 2 minutes remaining. The half ended with the Dubs up by three, 59-56. That changed in the third. The three–point lead became a 24 points six minutes into the third. 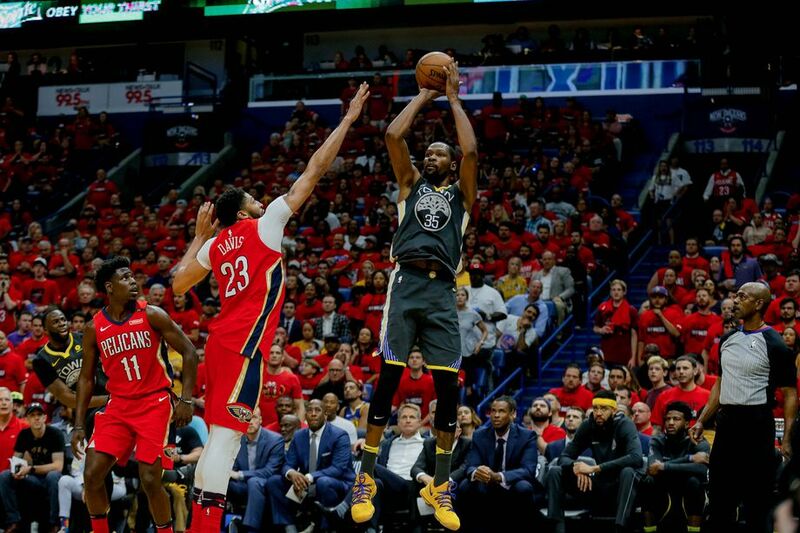 The Warriors' dominance was on full display as they outscored the Pelicans 36-19 in the quarter, and 12-0 on fast-break points. The Warriors never looked back. Game, set, series. In the two games where Kerr started the Hamptons Five, Kevon Looney has been the first substitute off the bench. In the first two rounds, covering 10 games, Looney averaged 21.2 minutes, 5.0 points and 4.9 rebounds. Looney even made an 18-foot jumper late in the first quarter in the Game 5 win. In basically three quarters of basketball, the Hamptons Five outscored the Pelicans 113-64. Coach Kerr & Quinn Cook weigh in on the team's energy & communication that led to the Dubs' 113-104 victory over the Pelicans in Game 5. 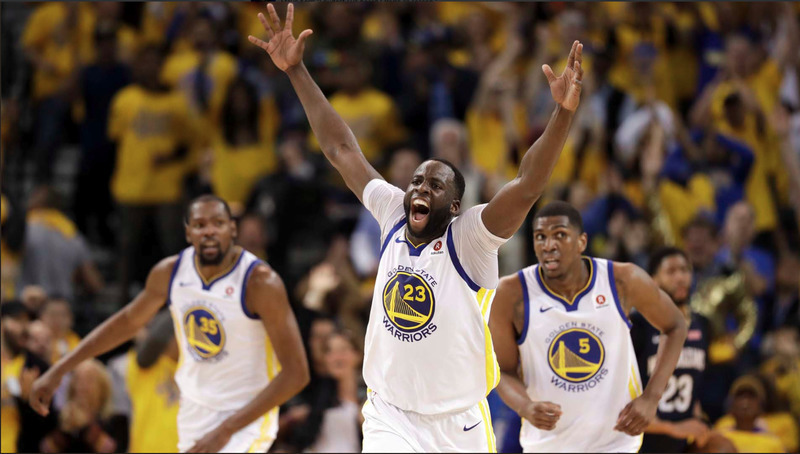 A behind-the-scenes view of the Dubs' win over the Pelicans in Game 5 to win the series and head on to the Western Conference Finals. 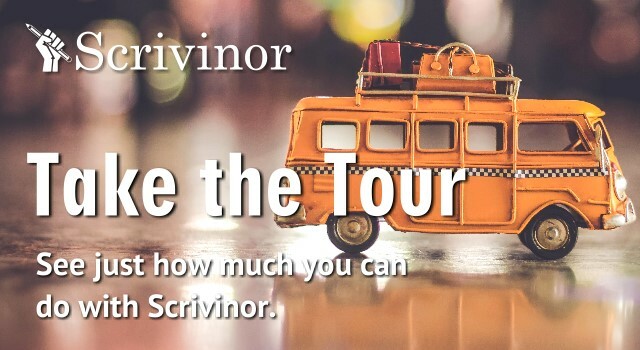 It’s the halfway point. Eight down. Eight to go. On to the Conference Finals and the Houston Rockets.